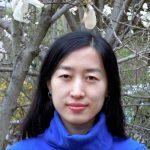 Dr. Zhang focused on developing liver cells from embryonic stem cells, and her research aimed to lead to more efficient ways of generating fully function liver cells from stem cells. She also focused on the effects of microRNA, an important molecule that can help to silence or regulate genes, on the process of differentiation in both embryonic and induced pluripotent stem cells. By dissecting how microRNA acts in certain stages of differentiation, she studied the techniques to make stem cell-derived liver cells indistinguishable from actual liver cells. Dr. Zhang completed her postdoctoral studies at Harvard in Dr. Alexander Meissner’s lab.